The Logistics Association of Australia Ltd (LAA) and leading international supply chain and logistics management consultant, Logistics Bureau, have signed a Memorandum of Agreement signalling the commencement of a definitive report on the state of the logistics and supply chain industry in Australia. LAA President Brad Harrison spoke enthusiastically about this program. Under the agreement, Logistics Bureau will provide research content and analysis on its research findings once a year. The first annual report will comprise an economic update and a market update; define market participants and review Australian industry performance. It is anticipated that second annual report will also include findings on employment and training and regulatory environment. Commenting on the new Supply Chain Report, Logistics Bureau Group Managing Director Rob O’Byrne said that he welcomed the opportunity of partnering with the LAA on this initiative. 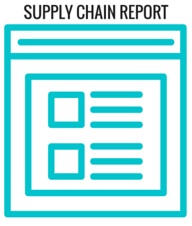 “Undertaking to deliver this research report reflects our commitment to promoting logistics and supply chain management practices, analysis and benchmarking for the benefit of the industry,” he said. Based in Sydney and SE Asia, consultant Logistics Bureau provides direction and support in driving improved profitability, improved customer service and increased supply chain flexibility for a wide range of businesses. Logistics Bureau is also a Friend of the LAA and has been instrumental in adding value to the industry through its strong support of a number of the LAA’ s education and research programs.